Banana Republic has turned into one of my favorite go-to stores for spring shopping. The beauty of NYC is that there is an incredible amount of “window shopping”. Believe it or not, it is actually how I do a lot of my shopping these days. A few weeks ago, as I passed by Banana Republic, the dresses in the window immediately caught my eye so I had to go inside and further explore. Ahhh, the latest collection instantly made me excited for warmer weather and happy summer days. This maxi shirt dress is perfect for any summer or spring day. It’s spring and I am ready for some bright clothing after this long and grey winter. 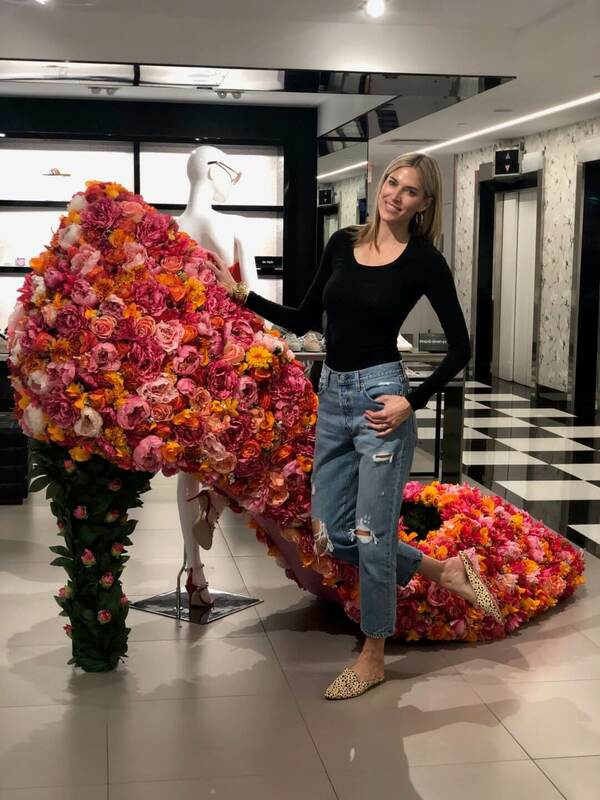 I am all about the in-store try on’s this month! I have been going inside stores in order to figure out what works for me as well as the best prices and what I need (want) in my closet lol. There is an Anthropologie right by my house that I walk by at least twice a day on my way to my kids school. Each day I look in the windows and admire the lovely spring fashions. I had never actually gone inside the store until this past week and I was beyond impressed by their clothing and home decor! I had completely forgotten about their home decor section so I had a great time shopping around in that area too. Check out my Instagram stories today to see my “try-ons”! It’s Makeup Monday! Today we are getting a face lift people! A non-invasive 15 minute face lift, woop, woop! Are you in!? YESSSSSS of course you are! 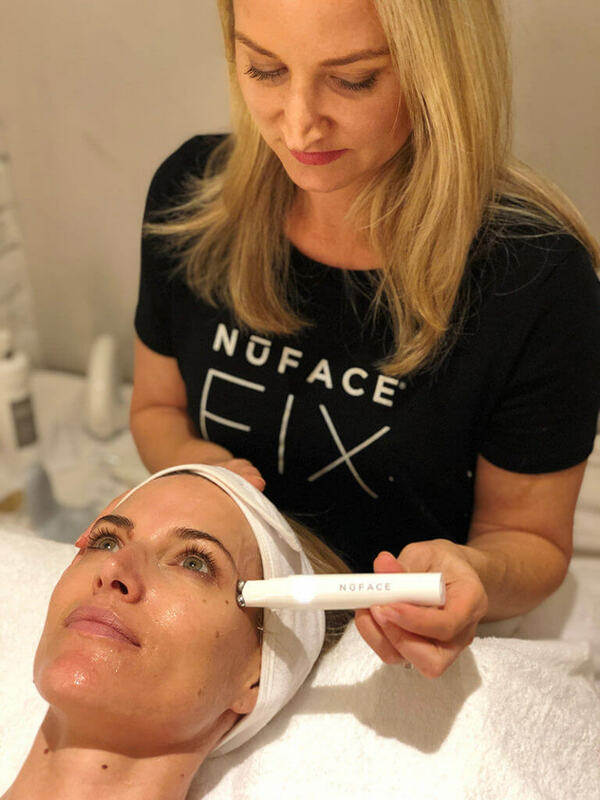 Ok so long story short, I have a girlfriend who told me about NuFace years ago and I always had it in the back of my head that I should really be trying this! Cut to 3 years later, I was walking around my neighborhood and noticed a NuFace pop up shop, so naturally, I had to check it out to see what all the hype is about! I am beyond, sold, sold, sold with this toning device! It REALLY works and I will show you how to use it on my Instagram stories. Make sure to keep reading and watch my IG stories to see the full videos! Last week we had a 70 degree day here in NYC and OMG it was pure heaven! The birds were singing, flowers were blooming, there were people everywhere, it was as if bears were coming out of hibernation! It was amazing!! So what did I do!? I went right into my closet, grabbed my new fab pink silk dress from Banana Republic and hit the street to meet my girl friends for lunch! Ahhh Spring has sprung and I couldn’t be happier! P.S.- how cute are these slides!? I’m a Bloomingdales Loyallist !!! Are you? 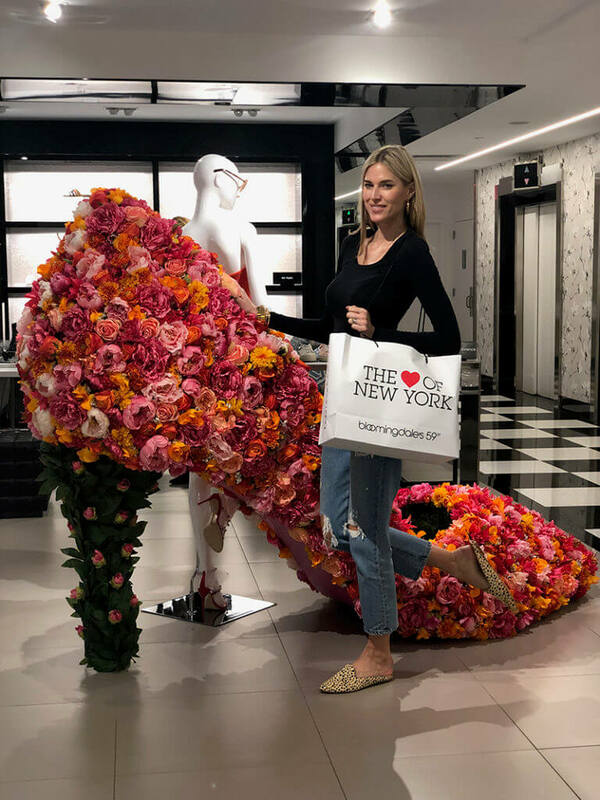 Up until recently I wasn’t a Bloomingdales Loyallist, can you believe it?!? I was in the store buying makeup a few weeks ago and a sales person asked me if I was a Loyallist and if I wanted to use my points? Ummm what points but yes! 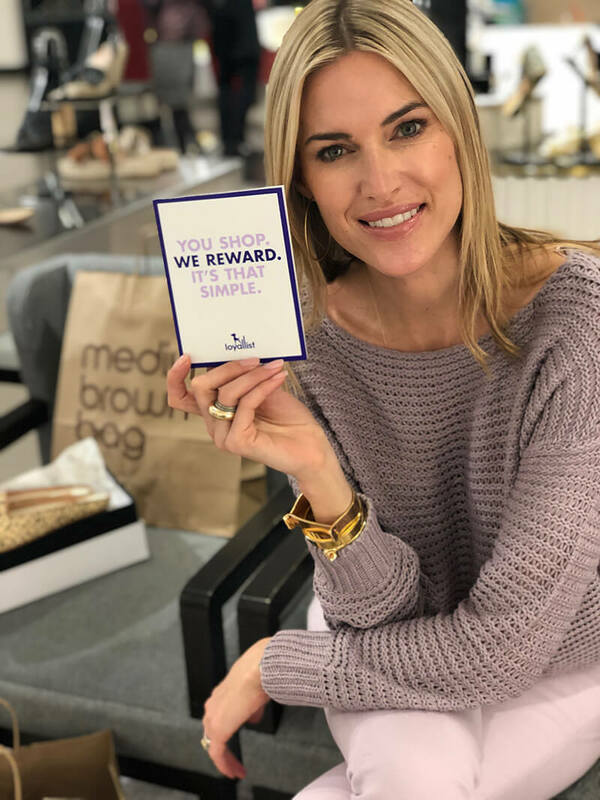 Are you familiar with the Bloomingdales Loyallist program?!? If not, make sure to CLICK HERE to sign up! Keep reading to learn about all of the benefits! It’s Tuesday which means it’s another day dedicated to Try On’s! Yup, back at Bloomies cause I just can’t resist! The weather is getting a bit better and that calls for a closet revamp, the perfect time of year to switch up some of my heaver spring pieces for lighter ones. When it comes to shoes in the spring, it’s all about the slide! Don’t own a pair? 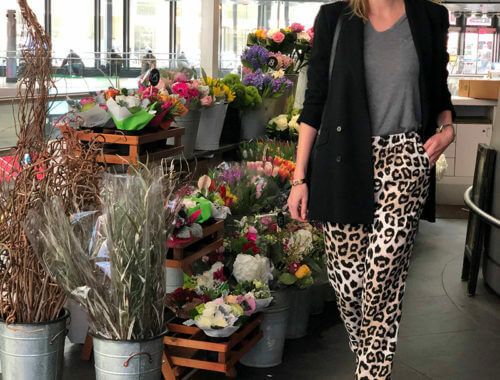 No worries, I’ve got you covered with two super sleek pairs that are fab neutrals (we have already established that leopard print is a neutral…remember? lol). These shoes will help you slide into spring seamlessly! Keep reading for my favorite shoes of the week (many of which are on sale or under $100). What’s your Lip Vibe? Thanks to Almay, there is a lip vibe for everyone! These fun, new lipsticks come in a variety of colors to match just about any mood. They are easy to glide on, smooth and leave your lips feeling hydrated. The pigment is fantastic and wears well all day long! You can choose from either matte or cream lipsticks in over 25 colors! I am super excited to start my spring and summer right with a fresh new take on my lipsticks.